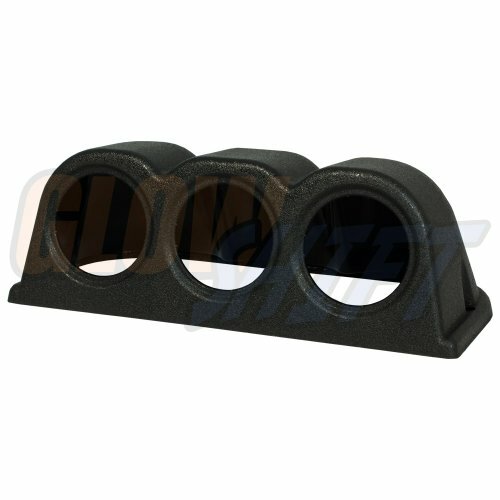 GlowShift's Universal Triple Gauge Swivel Dashboard Pod is a triple gauge pod designed to mount on your vehicle's dashboard and will house (3) 2 1/16" (52mm) gauges while bringing a unique style to your vehicle's interior. Each triple swivel pod is crafted from the highest quality ABS plastic available to withstand cracking, fading, and warping while allowing you to twist and turn the individual pods to a position of your choice. This pod is currently offered in a clean OEM black style. GlowShift includes a one year limited warranty and free lifetime technical support with each purchase. GlowShifts Universal Triple Gauge Console Dash Pod with Dome Lip is a triple gauge pod designed to mount on your vehicles dashboard and will house three 52mm or 2 1/16th inch gauges while bringing a unique style and look to your vehicles interior by adding a sleek cover over your gauges. Each triple dash pod is crafted from the highest quality ABS plastic available to withstand cracking, fading, and warping. This pod is currently offered in a clean OEM black style while still offering the user the ability to paint the pod if needed. Each triple gauge pod includes a one year warranty and free installation support. 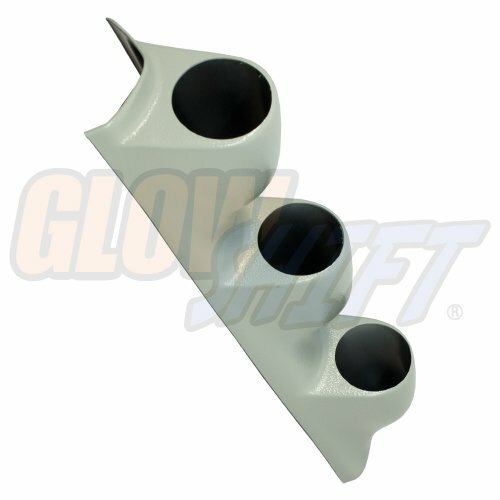 GlowShift's Universal Gray Triple A-pillar Pod is designed to be installed on virtually any vehicle, and will house three 2 1/16th inch (52mm) gauge. Each universal single gauge pod is crafted from high quality ABS plastic that allows it to withstand cracking, fading, and warping, and can be painted using ABS plastic paint to give your car a custom fit and finish. GlowShift includes mounting hardware, installation instructions, and a one year limited warranty with every A-pillar pod purchase. Note: Universal Triple Pillar Pod may require some molding, cutting or trimming for perfect fitment to your stock pillar pod. 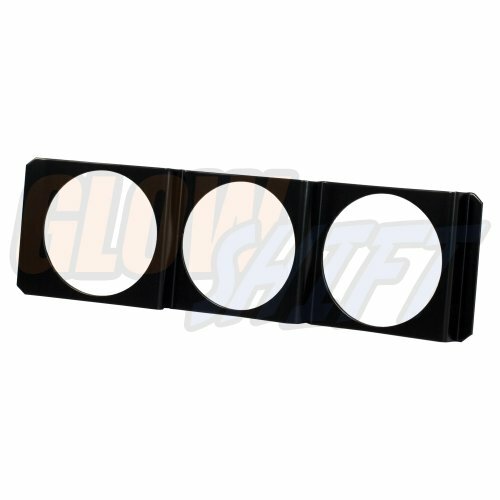 GlowShift's Universal Triple Gauge Under Dashboard Mounting Bracket allows you to mount (3) 2-1/16" (52mm) gauges under the dashboard of your vehicle with the included self-tapping screws. Featuring a compact size of 7-1/2" x 3", this pod can be mounted to virtually any vehicle. Each pod is manufactured from steel so it's built to last and features a sleek, black color that will match your interior. GlowShift includes free lifetime technical support and a one year limited warranty with each purchase. 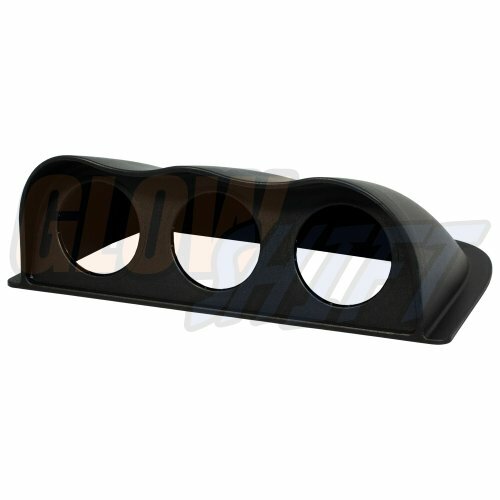 GlowShifts Universal Triple Gauge Console Dash Pod is a triple gauge pod designed to mount on your vehicles dashboard and will house three 52mm or 2 1/16th inch gauges while bringing a unique style and look to your vehicles interior. Each triple dash pod is crafted from the highest quality ABS plastic available to withstand cracking, fading, and warping. This pod is currently offered in a clean OEM black style while still offering the user the ability to paint the pod if needed. Each triple gauge pod includes a one year warranty and free installation support. 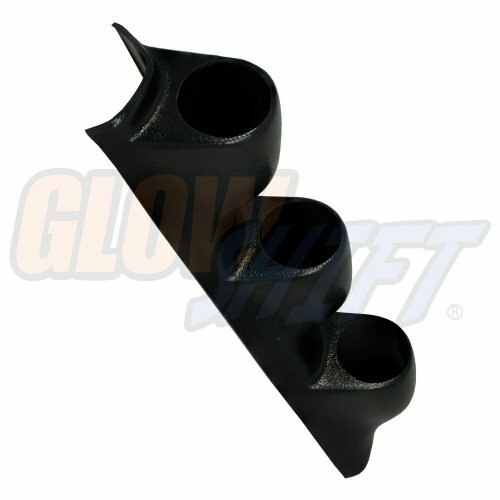 GlowShift's Universal Black Triple A-pillar Pod is designed to be installed on virtually any vehicle, and will house three 2 1/16th inch (52mm) gauge. Each universal single gauge pod is crafted from high quality ABS plastic that allows it to withstand cracking, fading, and warping, and can be painted using ABS plastic paint to give your car a custom fit and finish. 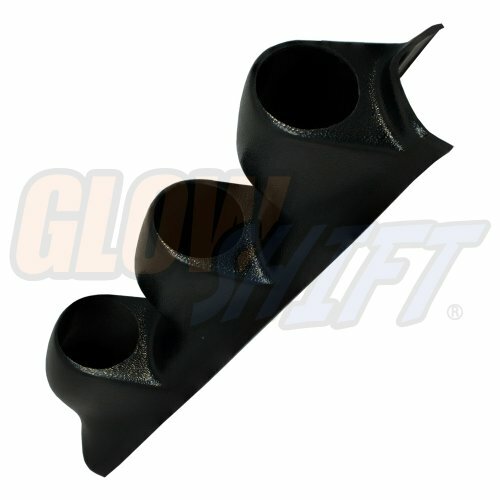 GlowShift includes mounting hardware, installation instructions, and a one year limited warranty with every A-pillar pod purchase.Note: Universal Triple Pillar Pod may require some molding, cutting or trimming for perfect fitment to your stock pillar pod. GlowShifts Universal Triple Gauge Single Din Radio Face Pod is a triple gauge pod designed to mount on your vehicles single DIN radio slot and will house three 52mm or 2 1/16th inch gauges while bringing a unique style and look to your vehicles interior. Each triple radio pod is crafted from an extremely durable metal and is currently offered in a clean OEM black style. All necessary mounting hardware and one year warranty is included with each pod. GlowShifts Universal Triple Gauge Console Dash Pod with Dome Lip is a triple gauge pod designed to mount on your vehicles dashboard and will house three 60mm gauges while bringing a unique style and look to your vehicles interior by adding a sleek cover over your gauges. Each triple dash pod is crafted from the highest quality ABS plastic available to withstand cracking, fading, and warping. This pod is currently offered in a clean OEM black style while still offering the user the ability to paint the pod if needed. Each triple gauge pod includes a one year warranty and free installation support. 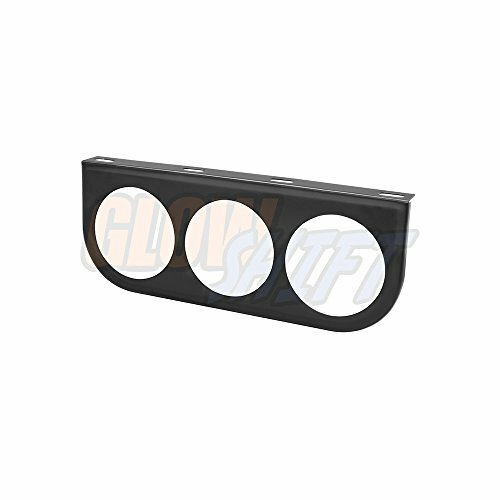 GlowShift's Universal Black Triple A-pillar Pod is designed to be installed on virtually any vehicle, and will house three 2 3/8th inch (60mm) gauge. Each universal single gauge pod is crafted from high quality ABS plastic that allows it to withstand cracking, fading, and warping, and can be painted using ABS plastic paint to give your car a custom fit and finish. GlowShift includes mounting hardware, installation instructions, and a one year limited warranty with every A-pillar pod purchase. 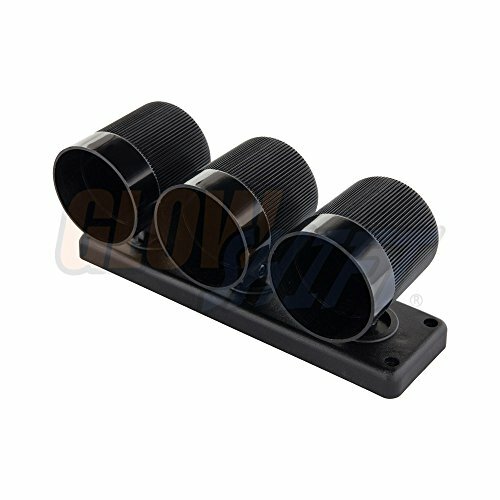 Compare prices on Glowshift Universal Triple at ShoppinGent.com – use promo codes and coupons for best offers and deals. Start smart buying with ShoppinGent.com right now and choose your golden price on every purchase.